Although Facebook’s Hashtag functionality to status updates seems like an advantage to marketers now, such copycat behaviour may harm the growth of Facebook in the long run. Here is my take on this new feature. They say necessity is the mother of all inventions. If twisted a little, one can say that a competition is the father of all useless product features. The context here is: Facebook Hashtag feature. Before you proceed, let me clear to you that I am neither a cynic nor a Google obsessed Facebook critic. Nevertheless, this madness doesn’t allow me to keep my mouth shut. Recently, Facebook introduced the Hashtag functionality to the posts, claiming to enhance interesting content exploration. (By the way, how many of you are using the Graph Search feature, introduced earlier?) We all know that Twitter has popularized the Hashtag on its platform. Considering the anatomy & personality of Twitter, the Hashtag fits its structure and makes sense there. Twitter is an open social networking platform where, to follow or interact with somebody; you need not have to be a friend or even acquaintance of that person. Hashtags weave scattered open conversations on Twitter under specific topic threads. Louder conversations trend with the most common Hashtags. The point I’m trying to prove here is, unlike Twitter, Facebook is a more private kind of social networking site. Though people frequently post status updates in public mode, the major conversations happen here within friend circles, intended for a specific group of people. Looking at Facebook’s current privacy settings, even if you add a Hashtag to your status update, your update will not be visible to the people besides those is meant for, unless it is public. Does the Hashtag serve any purpose here? In this scenario, its real ability to aggregate & pool the related conversations together will never come to realization. As of now Facebook has no feature where you can see the trending topics. Why would one search for a specific Hashtag, if he/she has no idea about what is trending? However, considering Facebook’s copycat acts, it may very well be seen in the near future. Is Hashtag a complete useless feature? This answer has many shades of grey. Though from the user’s point of view, the Hashtag will hardly make a major difference, this functionality will surely add a value to the marketers’ media plans. It will work as one more targeting parameter for advertisers. Tracking campaign conversations will become easier now. Even a page with a low number of fans can gain higher exposure if it has interesting updates to share. Brands can create and popularize unique Hashtags across top social networking sites. In my view, natural conversation is the strength of Facebook, and Hashtags may hamper that spontaneity in the long run. Because when you add a Hashtag, you add an intended element to your feelings or thoughts. You want your opinion to be counted. Frankly speaking, trending Hashtags encourage the herd mentality. Often people write absurd things with a trending Hashtag just for the sake of participation. As a digital marketing professional, Hashtags may provide a good marketing opportunity for me; however, as a common user it could manipulate or drive my views. In the name of enhanced content discovery, it’s simply a tool to fool users. It seems Facebook is trying to kill many birds with one stone. In the past, Google has made the same mistake. 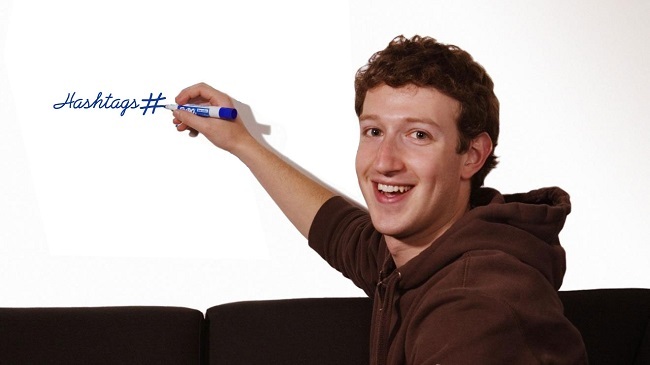 Adding Hashtag like features, Facebook is encouraging users to surrender their privacy. I fear people may lose interest in the platform, if communication becomes more complex and deliberate.